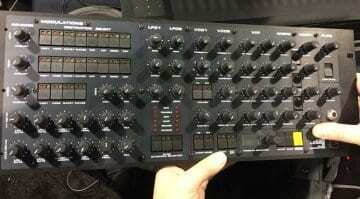 We’ve heard about the Xerxes for a while and seen the odd Instagram post but it was largely ignored in the NAMM coverage. Maybe it’s the slightly annoying lack of information about it anywhere and the fact that it’s based upon a rather obscure Italian made Elka Synthex. Anyway, our friends at Synthanatomy recorded a demo and here’s what we know. 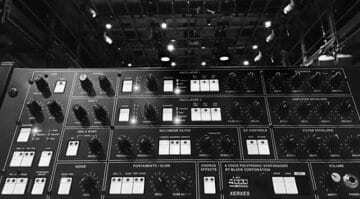 As with the Deckard’s Dream, Black Corporation like to stay pretty faithful to the synthesizer they are recreating. 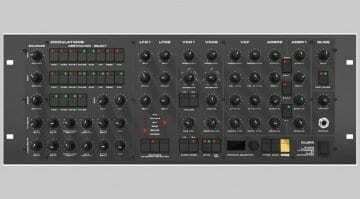 The Elka Synthex was an 8-voice analogue polysynth made between 1981 and 1985 by Elka who up to that point had only really made organs. 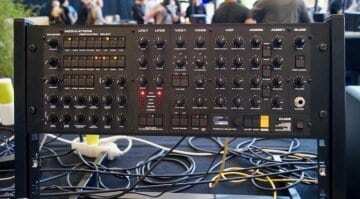 It uses 2 digitally controlled oscillators per voice and had a lot of cross modulation of pulse width and a multimode filter. There were separate envelope generators, 2 LFOs and effects like a ring-modulator and chorus. These are the sort of features that Xerxes will be replicating. Other features such as the real-time and step-time 4 channel sequencer, or the joystick pitch/mod control are much less likely. 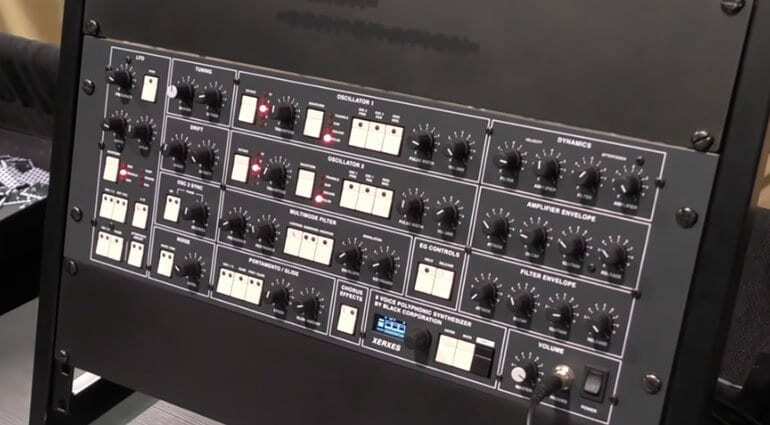 Black Corporation has borrowed the look with the white buttons and black background and puts all the important controls into the Xerxes rack unit. As with the Deckard’s Dream they’ve added a little display and I’m sure we’ll get MIDI and MPE implementation as well. But who the heck knows because there’s just no information out there anywhere! Maybe it’s some kind of reverse marketing concept – who knows? Anyway, it sounds terrific, unexpected and versatile. Check it out below. You’ll be lucky. You can try the Deckard’s Dream website (as the Black Corporation one just redirects you to it), or their Instagram account.